We accept same-day emergency appointments. Call us today at (301) 861-0665. As trusted emergency dentists in Waldorf, our practice takes pride in providing our patients with the best and most effective solutions for their dental issues. We work with you to decide on the right treatments and procedures to restore your smile, reduce your pain, and ensure the healthiest gums and teeth for you and your family. Our emergency dentists in Waldorf can identify the root cause of your dental discomfort. By working with us, you can enjoy the expertise of the best emergency dentists and the peace of mind that comes with knowing that your teeth and gums are in good hands. We work every day to earn your trust and ensure that you enjoy the best possible care. Our dental practice is dedicated to providing you with the most attentive care and the best array of services to ensure the health and well-being of your teeth and gums. We offer a full range of preventive care options to help you avoid the need for emergency appointments. When you do need emergency dental care, however, we are here to ensure the fastest and most effective plan for your recovery. Why Do People Need Emergency Dental Services? Call our office immediately if you have broken teeth to avoid infection or damage. When you have your teeth knocked out, you must call us as soon as possible to increase your chance of having the tooth reimplanted. 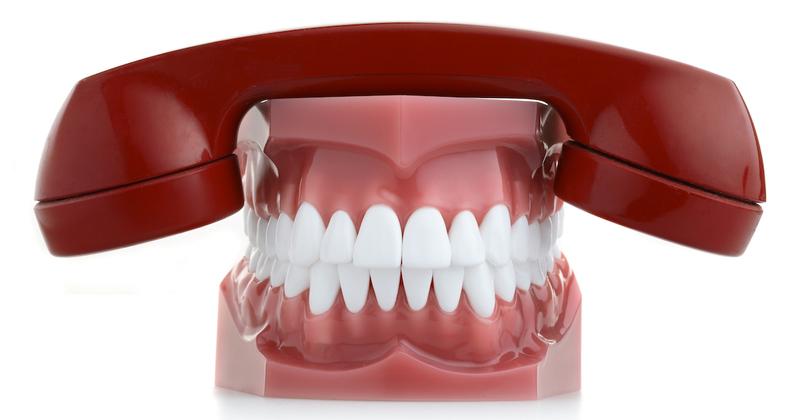 If you can, gather the fallen tooth fragments, gently rinse the tooth, hold it in the socket, and call us right away. Never ignore an intense toothache, especially if you also have additional symptoms, such as a fever or constant pressure. If you suffer from simultaneous sinus pressure and tooth pain, the cause is probably dental and demands immediate care. It’s completely normal to have minor tooth sensitivity, but intense dental sensitivity can indicate a larger issue like an infection or a dental fracture that requires prompt treatment. Untreated decay can cause a severe toothache, but our emergency dentists can repair the decayed tooth and provide you with relief. When your tooth is deeply infected, you may have an abscess in your tooth. It can cause great pain, sensitivity, swelling, and complications if left untreated. As soon as you experience any problems with fillings, avoid further damage by calling our office to schedule treatment. Never disregard damaged crowns or restorations because they they can actually weaken your teeth. Instead, call our practice as soon as possible and let our dentists provide repairs to keep your smile strong and attractive. Call us as if you experience any orthodontic pain so our dentists can repair your braces and save you from further discomfort. Do you grind your teeth without even realizing it? You may have a condition called bruxism and may have lost tooth enamel due to tooth grinding. Let our emergency dentists provide a protective night guard and try to repair your lost enamel. When Should I Call for Emergency Treatment? By arranging for immediate treatment in our dental offices, you can avoid doing more damage to your teeth and gums. We can provide you with the most comprehensive range of solutions to suit your budget and your needs perfectly. Our emergency dentists can provide you with stabilizing treatments designed to provide relief from pain and to prevent any further injury to your teeth. If a lost filling is causing you discomfort, we can provide you with a temporary filling to alleviate the pain caused by exposed nerve endings. Antibiotics are usually prescribed to treat abscesses and to reduce pressure on your teeth and jaw. Broken teeth can sometimes be set with adhesives while a crown or other restorative device is prepared. You’re not the only one wondering, “Where should I go for emergency dental care near me?” Many people are often uncertain of where to find emergency dental services when they need urgent dental care. While our emergency dental office can treat general emergencies, more serious conditions call for more advanced emergency dental services than our emergency dental office performs. So, when you need urgent dental care for any of the following severe symptoms, call 911, head to the hospital, or contact your physician or oral surgeon. Are Emergency Dental Services Expensive? Many of our patients have questions about the cost of their treatment. We offer some of the most affordable dental procedures in our area. If your dental plan covers some or all of your costs, we will work with your insurance plan to manage expenses and to ensure that you pay as little in out-of-pocket costs as possible. We also accept major credit cards as payment for your dental treatments. In some cases, we can offer extended payment plans that can allow you to budget for your emergency treatments more effectively over time. Our office participates in DentRite®, a discount plan designed for individuals and families who do not have other forms of dental insurance. Can I find an emergency dental office near me when I have a dental emergency at night or on a weekend? Our dentists only offer emergency treatment when the practice is open. As a result, you will need to call 911 or go to a local hospital for emergency dental treatment outside of these hours. Please don’t hesitate to seek treatment simply because our office is closed. This may put you at risk for further dental damage. Yet, if you suffer an emergency when our office open, call us right away for treatment. If you need immediate help for pain or damage to your teeth, call us today to schedule an emergency appointment. We look forward to the chance to provide you and your family with the best and most attentive care in the dental field.